Yury Shamrey – CEO and Co-Founder, SumatoSoft, presents his views on upcoming technology trends for 2019 as part of ITFirms’s Expert Participation Survey. 1. Tell us in brief about your company and the leadership. 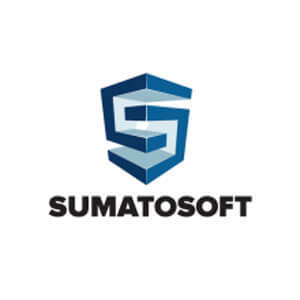 SumatoSoft is a custom software development company. We started it together with my business partner, Vladimir Shidlovsky, Co-Founder and CTO at SumatoSoft. We execute turnkey projects for startups, SMBs & enterprises and design software tailored to their needs. With deep technology expertise and solid background in multiple business domains (Healthcare, Financial sector, Automotive industry, Retail, Marketing Automation), we managed to make our company synonymous with the highest quality and reliability. 2. How would you describe your growth trajectory in 2018? Any particular achievement? Any disappointment? It was a fruitful year and we believe that 2019 will be even better. In 2018, we hit the lists of top web development companies, top mobile app firms and best IoT developers. We doubled our staff, enhanced our technology expertise, met new loyal clients and implemented a number of successful projects.  In addition, I am proud to say that SumatoSoft is a reliable partner of our longtime clients. 3. Please describe the operational structure of your company- from the moment a client walks in, to the product deployment. Once a client reaches us out, Business Development Managers come into play. They communicate with the client, find out their sore points, wishes and business needs. We discuss with the potential the project vision, scope, timeline and budget. After that, the team share the details with project managers, business analysts and technical experts about all requirements and the latter work on a further project analysis and estimation. Once the estimation is ready, Business Development manager makes a detailed proposal where all the details about the future project is described – the vision, scope, processes, estimation, timeline, and all other project-related things. Then we present the business proposal, discuss the details, provide more details if necessary. When the proposal is approved, we start contract review and negotiation stage. When all documents are signed, the project starts. A project manager, business analysts, designers and software engineers are involved at the initial stage — I will not go into details. I will just say that we support full transparency with our clients, stick to the estimates we made and deliver on-time & within budget. 4. What engagement models do you offer? How should a client choose? We abide by the Time and Materials model when clients pay for the time we devoted to the project. Another option is the Fixed Cost model. It is a good option when there are no unknown factors, all the requirements are gathered and written down and the project can be estimated as accurately as possible. 5. What do you as a leader prioritizes – vertical expansion of your business or the horizontal expansion of your expertise and services? How do you balance both? We do not aim to become another giant. SumatoSoft is all about quality and deep expertise — that’s why our clients choose us. So, we pursue to further increase our technology and business domain expertise, leverage it to address our clients’ issues and thus to boost their businesses. Natural growth will follow. We already deliver high-end software globally, and the sky is the limit for us. 6. What is your outlook for 2019? We are geared to become the best in what we do. We are constantly challenging ourselves, discovering new capabilities, and all this enables us to implement complex projects. To be over our heads is not only possible for us — this is our credo. In 2019 we plan to stay true to ourselves. 7. Any particular technology or industry you would be targeting? How do you plan to prepare your workforce for the upcoming technology upgrade? As I mentioned above, SumatoSoft’s professionals advocate continual learning and professional development, so they are improving their skills, mastering new tools and technologies. As for the technology, we are a Ruby on Rails company, and we have no intention to get off this track. Even though, we’re open to discovering new opportunities in Data Science, ML, AI, blockchain, etc. We have already have solid expertise in these areas as well. 8. With technologies like React and Node that can be used for both web applications and mobile apps, how do you envision the development methodology to be in the future? React Native and Node.js open up big opportunities, as cross-platform development is gaining popularity. However, I would not say that the demand for native apps, both Android and iOS, will go away. There is a large number of factors to take into account: business objectives and needs, infrastructure, who end users are. All this affects the choice between native and cross-platform development. 9. Other than technical expertise, what traits you believe are essential for any app development firm to succeed in this rapidly evolving industry? I guess it is being flexible, keeping abreast of all developments and trends, being aware of each industry’s peculiarities and using individual approach. Of course, it is also all about knowing your customers, their growth points and finding ways to help them. 10. How do you assess the role of research agencies like ITFirms in bridging the gap between clients and service providers? ITFirms and other research agencies act as a link and independent party between software development companies and their clients. They help businesses to choose a reliable partner among the huge variety of outsourcing companies that deliver custom software and related services. On the other hand, agencies like ITFirms enable software development companies to stand out on the background of their competitors, demonstrate their capabilities and prove themselves.